After many wonderful years of being in love and dreaming that we would one day get married, we finally officially became husband and wife. 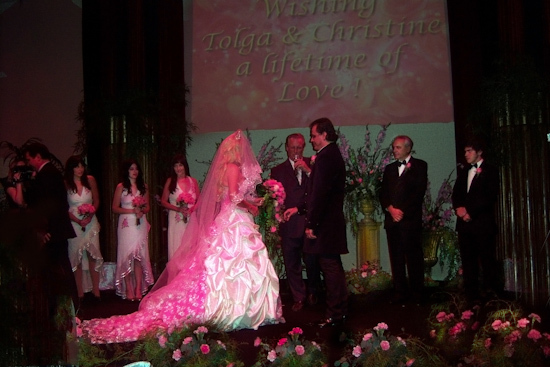 On 11-11-11, Tolga and I had a storybook, rose-filled, Bohemian wedding at Chameleon Studios – the Moulin Rouge of Las Vegas. (Well, in the decor anyway.) We broke tradition and did things our own way because that’s how we wanted it, and it reflected us. It was overwhelmingly special in countless ways, including the massive outpouring of love we received from friends, family and well-wishers around the world. This how the building looked when I arrived with my mom and daughter Kandice (aka pop artist Lola Blanc). It took our breath away. Notice that they even lighted the palm trees in pink!! Video projections on the inside walls of this gorgeous venue added a spectacular touch. This was one of the rooms where the after-party was held. Flowers were everywhere. For me, it took my breath away, like walking through a fantasy land. I had not seen the venue decorated until I came through the velvet curtains to the bridal procession music. Tolga and his family orchestrated to have 600 pink roses shipped in!! This is no small thing. This was 50 dozen roses, and if you know me and what a rose obsession I have, it was so thrilling I felt like I was going to burst. Our wedding ceremony began with a performance by an aerialist who was like an angel dancing in the air with wings of silk. This stunning performance added a elegance, extravagance and class that somehow both shocked people, and yet seemed perfectly fitting. A television crew for “Las Vegas Weddings” was there filming our wedding (described as “Bohemian meets Moulin Rouge,” with a geeky, storybook & Turkish twist.) Apparently they were quite moved as well. 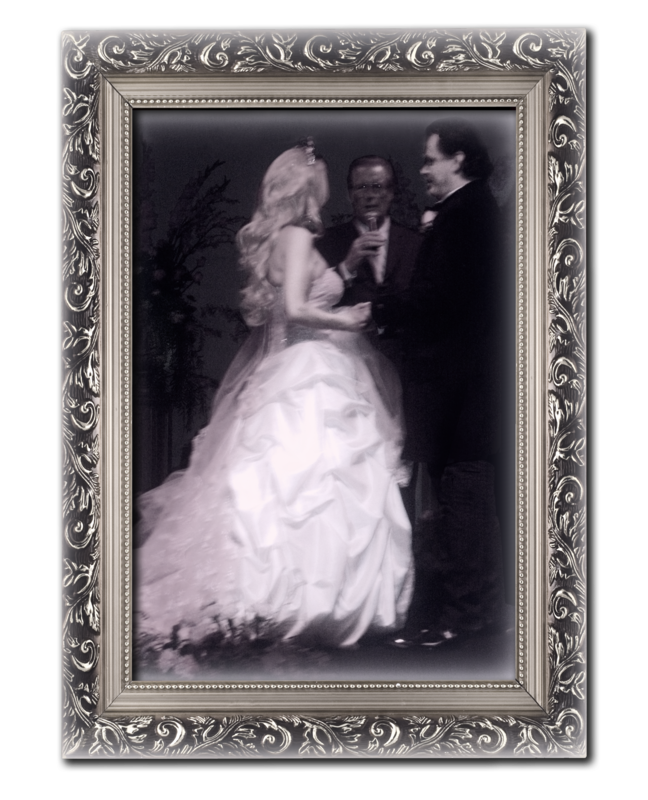 When they opened the velvet curtains for the bridal procession, Kevin Mitnick, a resident of Las Vegas, a famed hacker, best-seller author and close friend of ours, walked me down the aisle. Learn more about Kevin HERE. Kevin stood in place of L.V. Charles Besemer, my beloved father who was, no doubt, watching from heaven. Our rings were carried in Victorian valentine box. Steve Wozniak, the almost-best man, had to be best-man-in-spirt spirit (due to the fact that he won the Nobel Prize for technology in Armenia – or something like that!) While we missed him & his wife being with us, they wished us the best ♥ and if there’s any excuse that’s forgivable for not showing up for someone’s wedding, it’s winning a Nobel prize thingy. 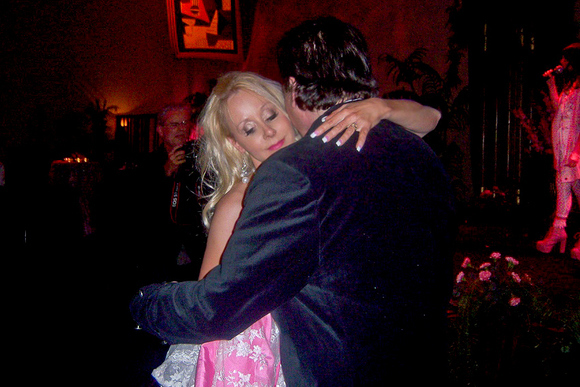 Tolga’s long-time friend for 25 years, Paul Fishkin (Stevie Nicks, Foghat, Natalie Cole), was actual best man. Another dear friend of Tolga’s, Jason Flom (Lava Records), and others from his music days attended as well. Tolga was very touched by the reunion of people from his different walks of life. 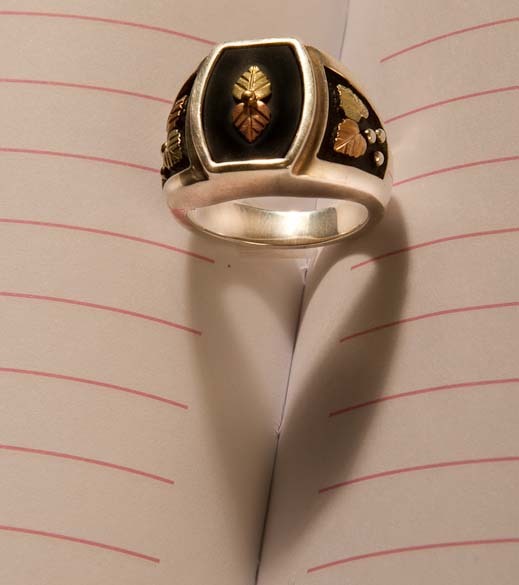 Tolga’s ring. Notice the heart-shaped shadow. We both got rings of made of tri-colored Black Hills gold – with leaves, grapes & vines. My ring inside his ring. The antique book is by Ralph Waldo Emerson, my favorite author, and after whom I named my son Emerson. Tolga looked too gorgeous for words. When I saw him, I got weak in the knees and almost melted. I stared at him in awe and whispered “you look gorgeous!” and he said, “you do too!” The pastor heard it and told the whole crowd. My heart was burning. Tolga says this looks like he’s a vampire marrying a ghost, but considering the night hours that Tolga keeps, there’s a ring of truth to it. For us, a Bohemian vampire storybook wedding – works. During the ceremony, my eyes were full of tears. Tolga was fighting tears. I have loved my genius vampire for so long. To be honest, I thought this day would never come. I had to pinch myself to make sure it was really happening. The Pastor was Pastor Ed of Casual Elegance. He was the perfect pastor for us. In his prior life, he was an engineer. It was perfect that we had a geek for a wedding officiant. We even had a premarital counseling session with him, and he gave us some truly valuable words of wisdom. Our dear friend Trevor Blazso took this amazing photo above. To me, Tolga looks like a prince. After the vows we said our “I do’s” and the pastor pronounced us “husband and wife,” I was just stunned. I felt a wave of happiness and joy come over me that I have never before felt. 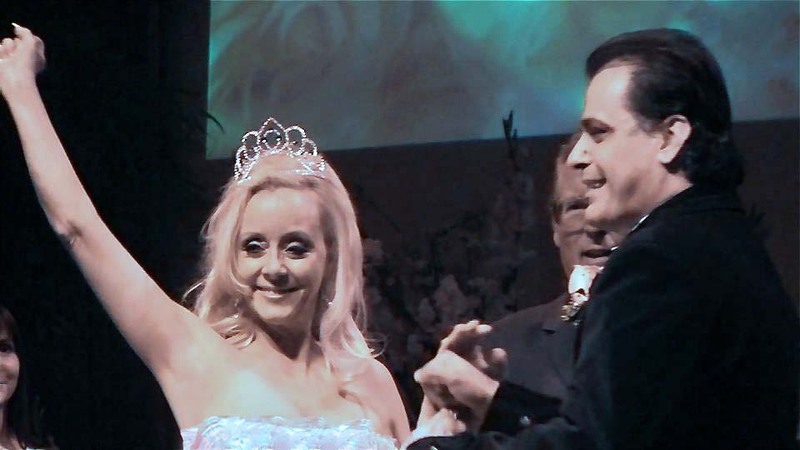 When he had as turn to the audience and introduced us as Mrs. and Mrs. Katas, apparently I could not control myself and my arm shot into the air symboling victory and triumph. Funny, but I can’t remember doing this! After the ceremony, we were so thrilled to finally walk down the aisle as husband and wife. I was walking on air and felt fireworks exploding in every cell of my body. I was literally tingling from head to toe! Tolga was ecstatic as well. It was a dream come true for both of us. The wedding reception was held in the same room as the wedding. Tolga’s little brother Kutan, Las Vegas teen fashion blogger Bebe Zeva, pop artist Lola Blanc, and UCLA grad student Lily Antebi. Bebe caught the bouquet! Duygu (Tolga’s stepmom) and Dorothy (Christine Marie’s mom) laughing their heads off. The bridesmaids – Lily Antebi, Andrea Moore, Lola Blanc. Half my family is Turkish now! On the far right is Ali, then Oksan, then Ali’s wife Ayla. Ali is Duygu’s brother, Tolga’s uncle. I love this ring. Legend has it that good fortune comes to those who wear black hills gold. To me, this is the most beautiful ring on the planet earth. I kiss it, like, 50 times a day. My daughter Lola Blanc (her facebook is here) is in pink to my left. My mom is in blue, holding my chihuahua princess. My son Christian has the beard. Tolga’s sister Oksan is on the far left, and his father is to my right. To the right of my mom is Tolga’s little brother Kutan, and on the far right is Duygu – an elegant, sweet, classy woman who is more like my sister than my mother-in-law! Another glorious photo of my drop-dead gorgeous and ever-so-feminine bridesmaids. This is Tolga’s favorite photo. It’s so perfectly us. He does things his own way, and I adore him anyway! My beautiful, gorgeous, breathtaking cascading bouquet of pink roses! This was made by Rosie, and many miracles happened in the process. More about that later. Bambi had her own wedding dress and veil, and of course – she had her nails done too. Bambi was the official flower dog. 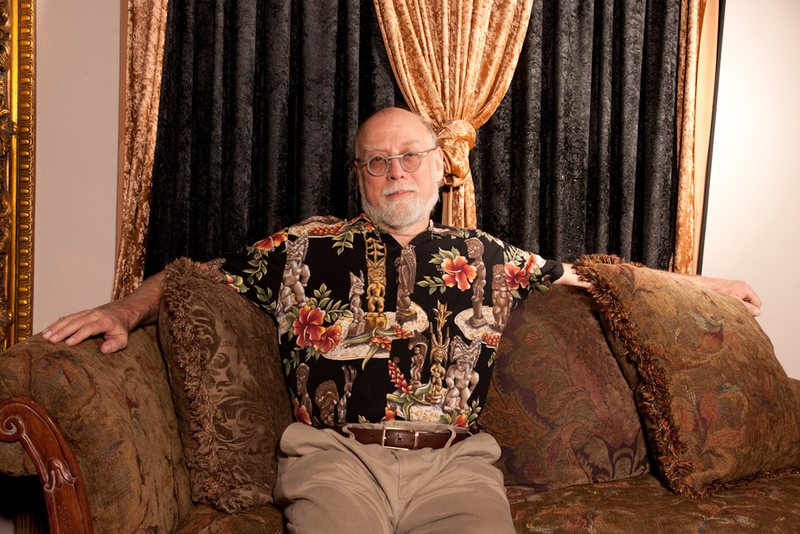 The more professional-looking photos are by Las Vegas photographer Steve Mammich, a dear friend of ours. I love this photo above because it looks aged. Boys, left to right: Producer/promoter John Galiszewsky, tech legend John “Captain Crunch” Draper, dance music veteran and love of my life – Tolga Katas, music producer and film financier Garianno Lorenzo, famed hacker and best-selling author Kevin Mitnick, celebrity musical director Michael Bearden (Madonna, Michael Jackson). No gathering of hackers & geeks would be complete without our friend, cat lover, hacker and engineer Dan Sokol. Getting him to sit for this photo was years in the making, so there were many things to celebrate on 11-11-11. Hacker//programmer John Draper, Tolga, A-list screenwriter Clay Ayers, award-winning comedian Travis McFarland, Tolga’s brother Kutan -named upcoming young director for Turkey, and entrepreneur Adam Faletti – sleeping on the job I think. But not for long. This is a candle for the bride’s hands. The Turkish wedding color is red, in case you can’t tell. Presents from Turkey! They pin gold on the bride and give special jewelry too. It was overwhelming fun and joy. Every little thing made me so happy. I have so many Turkish family members and friends to thank – how do I even begin? Our cake topper was custom made to look like us in Turkey. It’s wonderful! When I took it home to wash it, I realized that it’s actually made of sugar! DJam Hassan, a long-time friend of Tolga’s, truly rocked the house! Paul Fishkin chatting with Tolga’s father Erol. Ok here it is. It’s the back of my hot pink & ivory wedding dress! 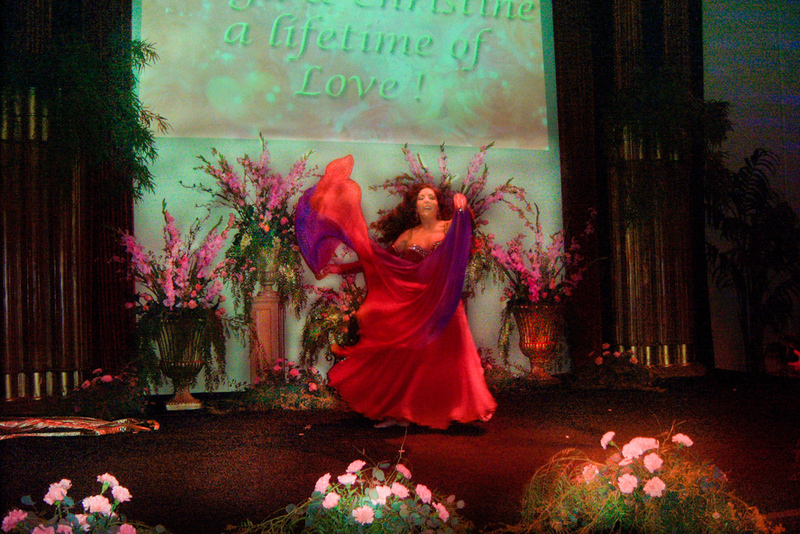 Keeping with Turkish tradition, the incredible Cheryl Irwin arranged for us to have a belly dancer at our reception! Ginger got the girls on stage and they belly danced like pro’s! 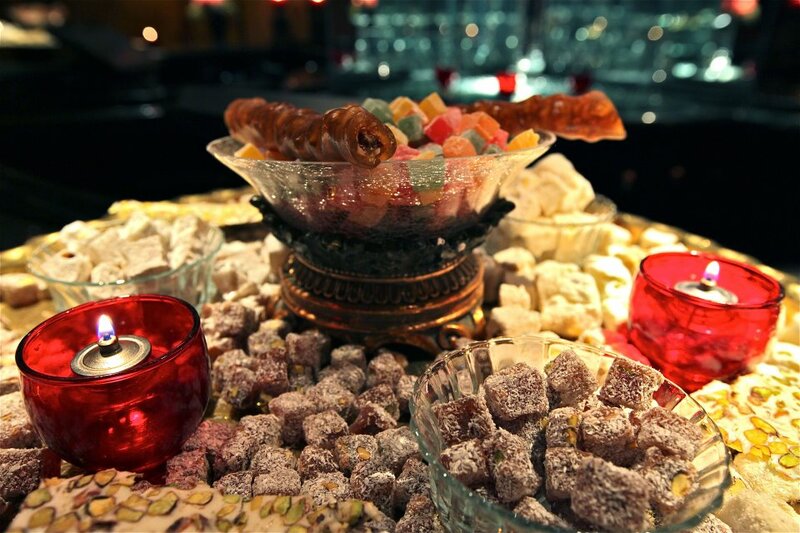 Turkish food, Turkish coffee, and candles everywhere! And I love our anniversary: 11-11-11. I love anything and everything that has our anniversary on it! Even Corinthians 11:11 says – “Neither is the man without the woman, neither the woman without the man, in the Lord.” How cool is that?!! This is me with my friend Chris Baughman, Las Vegas Detective, pimp hunter, and author of “Off the Street“, which I put in the inset. (And yes I added the pink to the pic.) Anyway, I introduced him to my new friend Jumi – (thanks to Nick O Toole!) because she raises money for charitable causes and boy does Chris have a charitable cause. 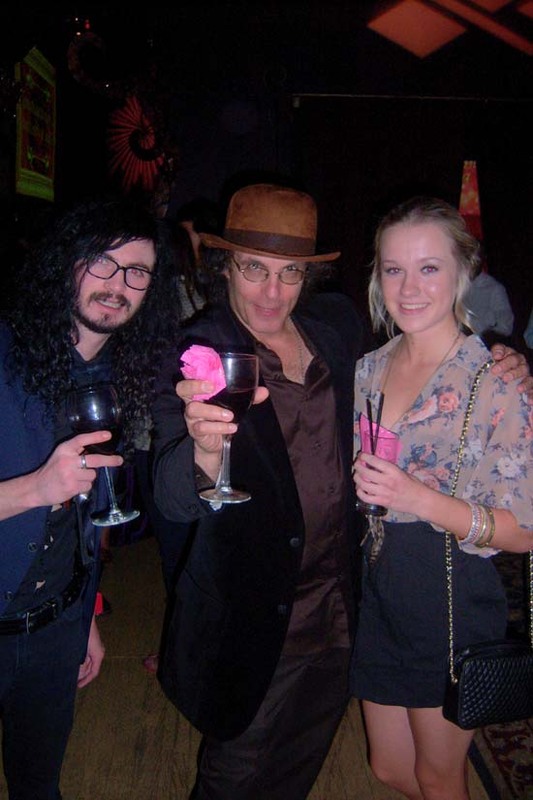 Comedian Travis McFarland (left), children’s TV producer Dave Shelton (Snuggy Bear) and model Charise Chyz on the right.